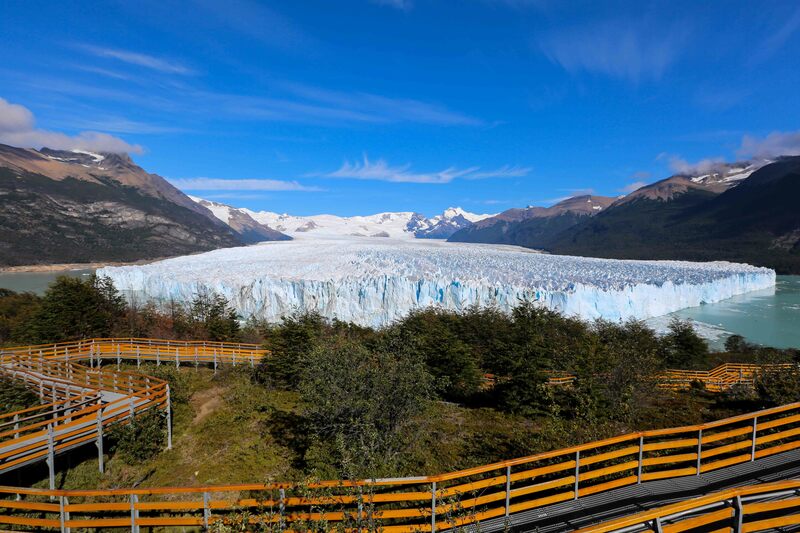 We were picked up from our hostel in El Calafate nice and early for the drive to Parque Nacional Los Glaciares, home of Perito Moreno Glacier – one of only three Patagonian glaciers still advancing (up to 2m per day)! 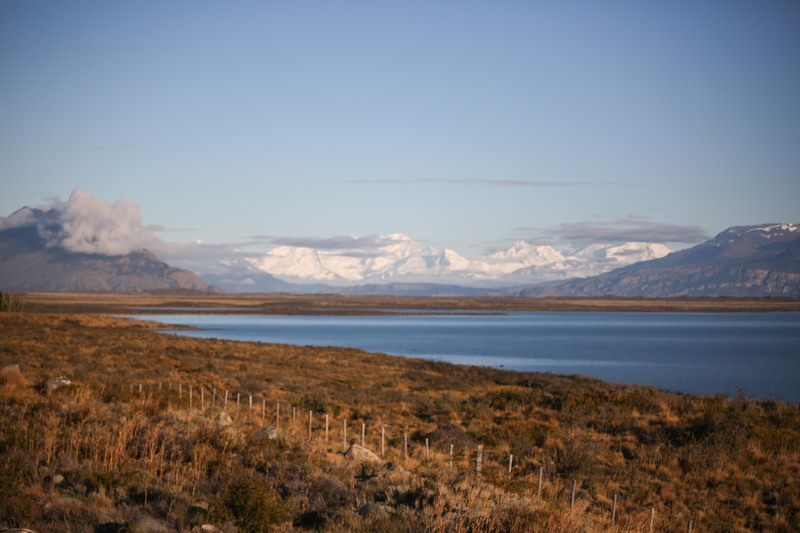 The drive from El Calafate was beautiful with the 300m deep Lago Argentino to our side and the Andes mountains in the background. 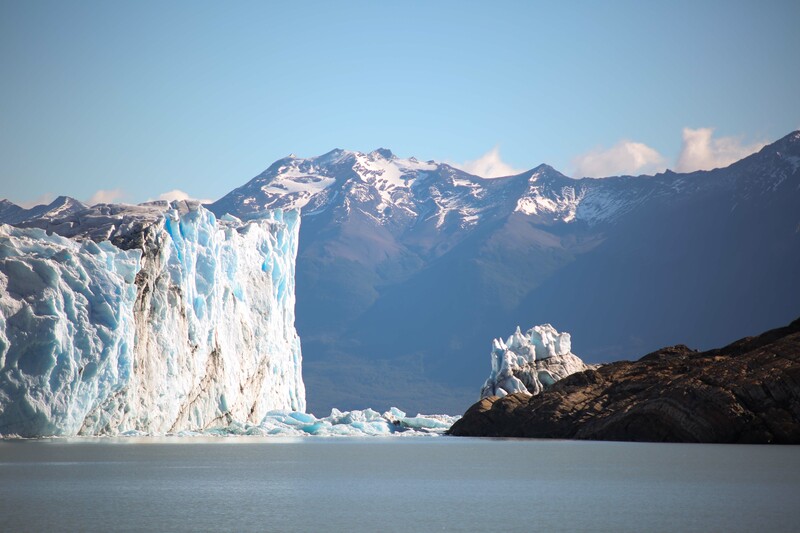 Arriving at Parque Nacional Los Glaciares in the morning, we first took a catamaran ride across Lago Argentino allowing you to view the Perito Moreno glacier closely from the water. 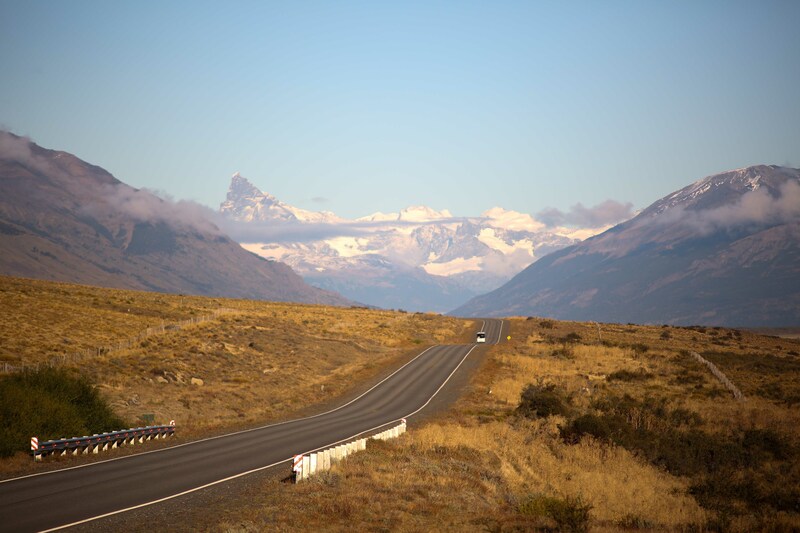 When confronted with it, it really is hard to gauge just how incredibly huge it is – 30km long, 5km wide and averaging 60m high! 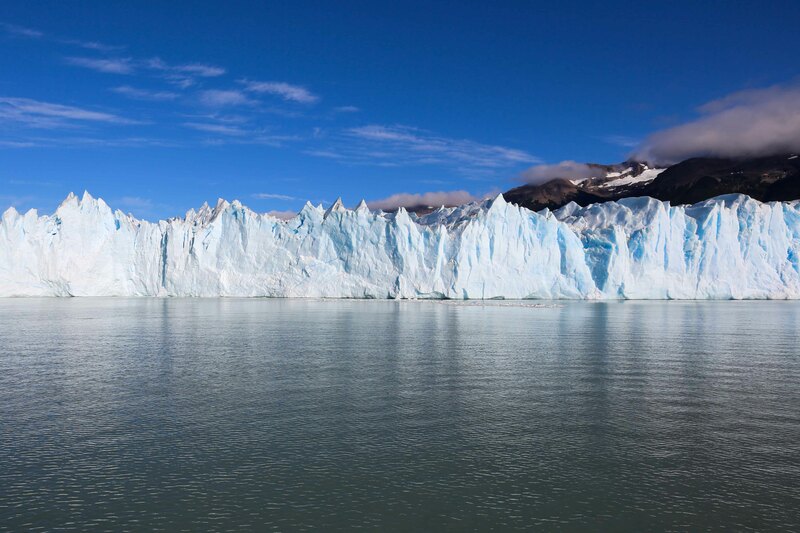 Due to its constant advance, icebergs are forever carving from its face, which is absolutely incredible to watch and also to hear. 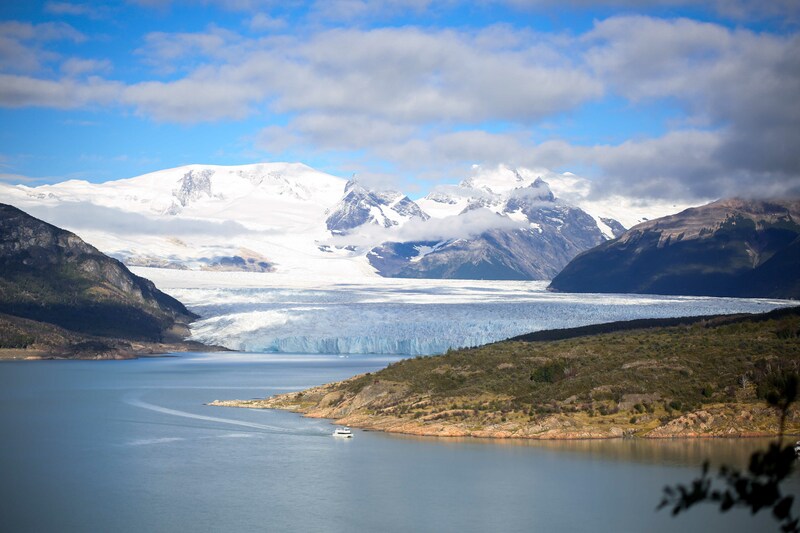 There is the sound of the ice cracking followed by the tremendous roaring sounds as the ice hits the water – it is something you really need to see to comprehend. The irony of that statement is that on many occasions by the time you actually hear the sound it is too late and all you see is the waves from where the ice has hit the water already! 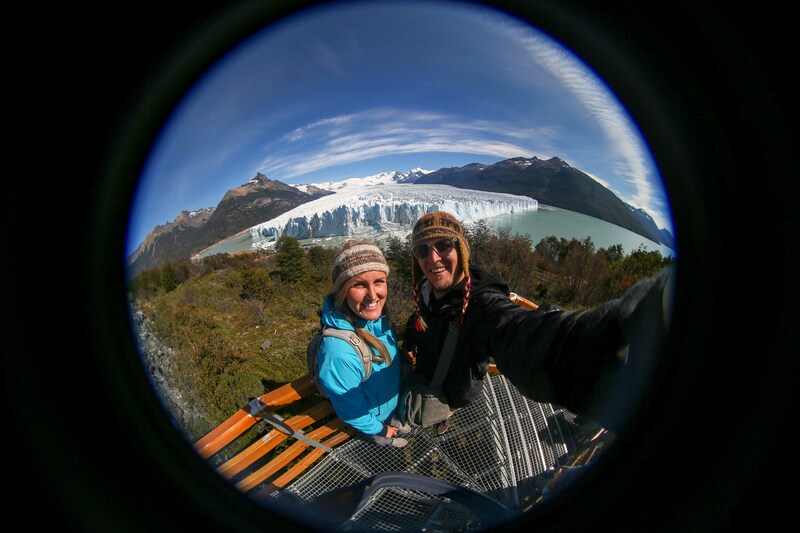 The boat ride was fun however walking the many balconies that have been built to view the glacier was perhaps the highlight. 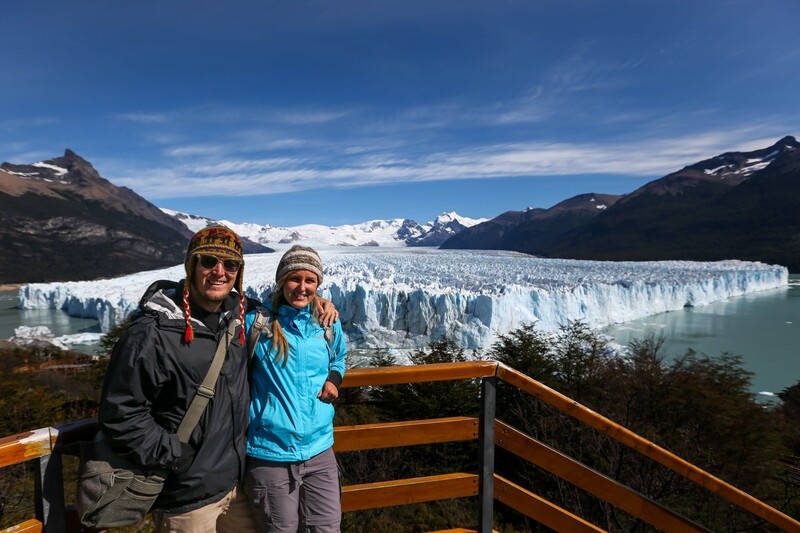 Will and I found our preferred balcony where as instant glacier experts we had determined the next large pieces to carve away. It was like watching a game of tennis, constantly looking from right to left and with fear of looking away in case you missed any of the action. 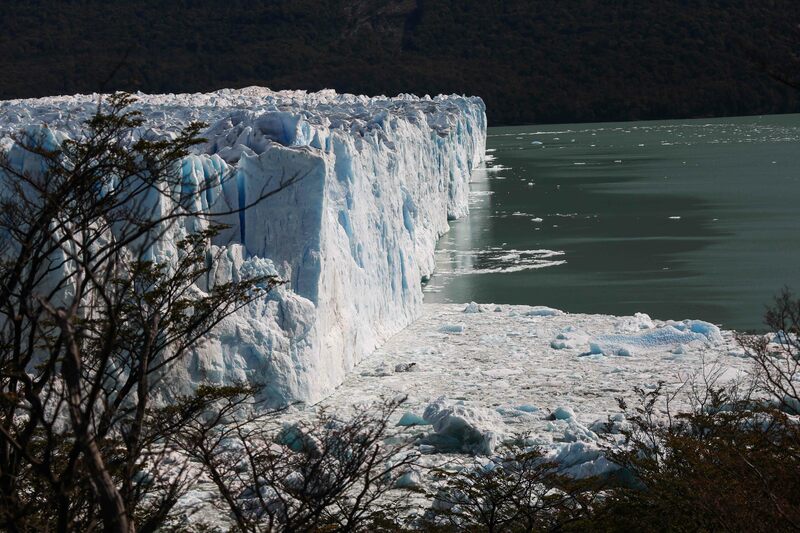 On a few occasions our estimates were correct and we watched as large sections of the glacier wall crashed into the water below. 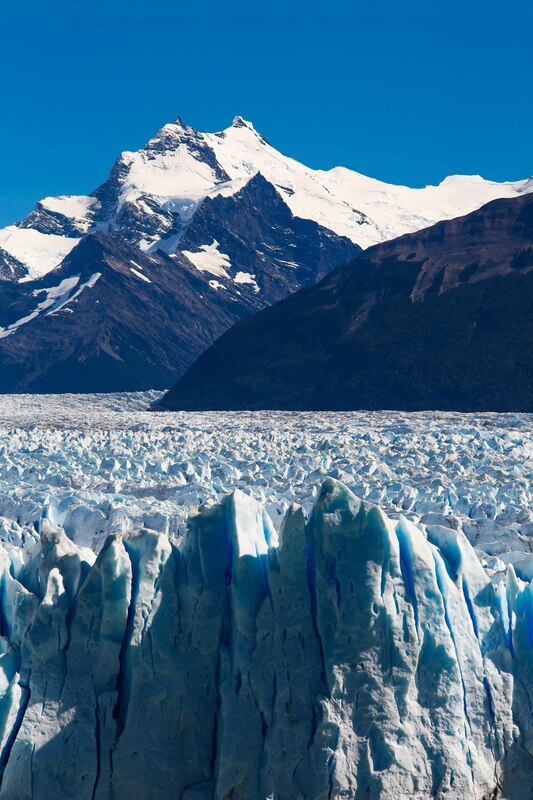 The waves that were created were incredible and washed loose pieces of ice hundreds of metres away. The first large piece we saw I was really excited because I had also caught it on camera but then on deciding to watch it back, somehow managed to delete it in the process – much to Will’s horror! Luckily there were many more to follow and before we knew it, hours had passed watching the same section of ice – it was strange that something so loud and destructive was also so incredibly tranquil. 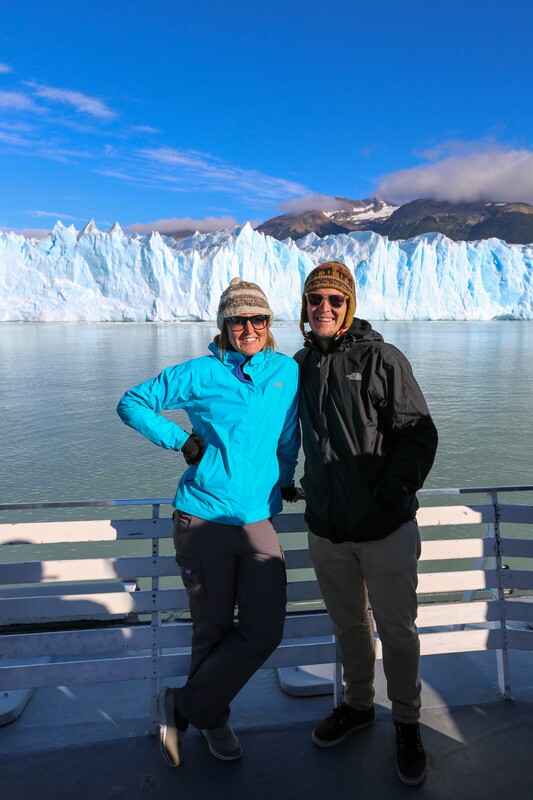 While we had been amazed by all of the glaciers on our trip so far, Perito Moreno Glacier is in a class of its own. The incredible size of it, the visually stunning contrast of white and blue combined with the never-ending show as large pieces come crashing down results in a truly unique experience and one we will never forget.